Blackberry Curve vs Blackberry 8800 | BlackBerry Blast! 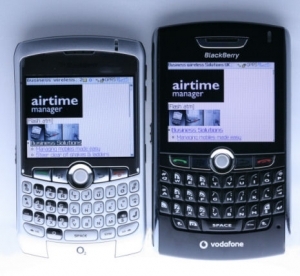 Airtime Manager has been testing the Blackberry Curve and has posted a comparison review between the Blackberry Curve and Blackberry 8800 devices. Check out the pictures and read the review at the source link below. You'll notice right off that the Blackberry Curve is a bit smaller than the 8800. Nice job RIM!